A Virginia jury will soon decide whether Army staff Sgt. Ronald Hamilton should get the death penalty or serve life in prison. He murdered Officer Ashley Guindon and his wife, Crystal Hamilton, in Feb. 2016. News4's Julie Carey reports. 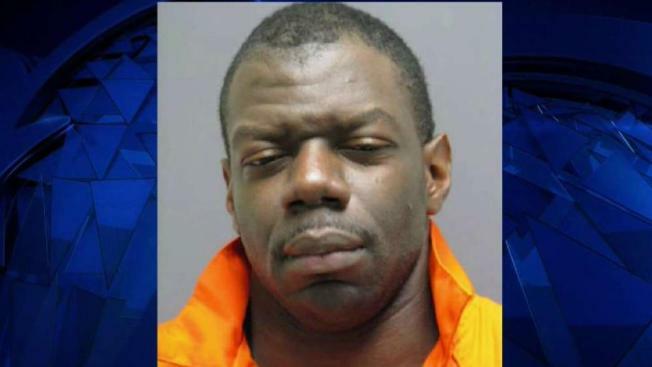 Prosecutors asked a jury Tuesday to impose what would be the first death sentence in Virginia since 2011 against an Army staff sergeant who killed his wife and a rookie police officer who responded to her call for help. "Put him in the grave because that's what he deserves," prosecutor Matthew Lowery urged the jury as he pointed to the defendant, Ronald Hamilton, 34, of Woodbridge. The courtroom was packed with relatives of the victims and Ronald Hamilton, plus officers who went to support Guindon's family. "This isn't a question of fact," Ungvarsky told the jurors. "This is a question of morality. What does your conscience tell you?" Ungvarsky also emphasized Hamilton's military service, which included two tours in Iraq. He cited testimony from Hamilton's fellow soldiers that Hamilton started out as an unruly soldier, but eventually accepted discipline and evolved into an excellent sergeant who once helped a fellow soldier escape mortar fire. "He went from being a screwup soldier to a model soldier," Ungvarsky said. "He showed the potential for change, the potential for growth." Prosecutor Richard Conway told the jury that soldiers "deserve respect and deserve protection, but they don't get a pass for capital murder." Hamilton spent much of Tuesday's hearing with his head buried in his hands, wiping away tears as lawyers argued over his fate. Several officers responded to the 911 call. The officers tried to enter the house to check on Crystal Hamilton's welfare, but Ronald Hamilton refused to let them in. One of the officers then kicked open the front door, only to find Hamilton crouched with an AK-47 rifle opening fire. All three officers who initially responded to the home were struck. Hempen and McKeown testified at the trial, and attended Tuesday's arguments as well. Conway said Hamilton's history of violent behavior was evident years before the fatal shootings in February 2016. He cited several instances of road rage, including one in which he confronted a police officer. He also cited an assault by Hamilton on a man he believed was having an affair with his wife, though Hamilton avoided charges in that case. "He richly deserves the ultimate penalty, I suggest to you," Conway said. "This door leads to a world of steel and bars and concrete and lights that don't turn off," Ungvarsky said, pointing to the courtroom door from which Hamilton is escorted to and from the courtroom and jail. The jury was set to continue to deliberate on Wednesday.